Chicago is in Deep Freeze & This Reporter's Pants was Frozen LIVE on Camera! 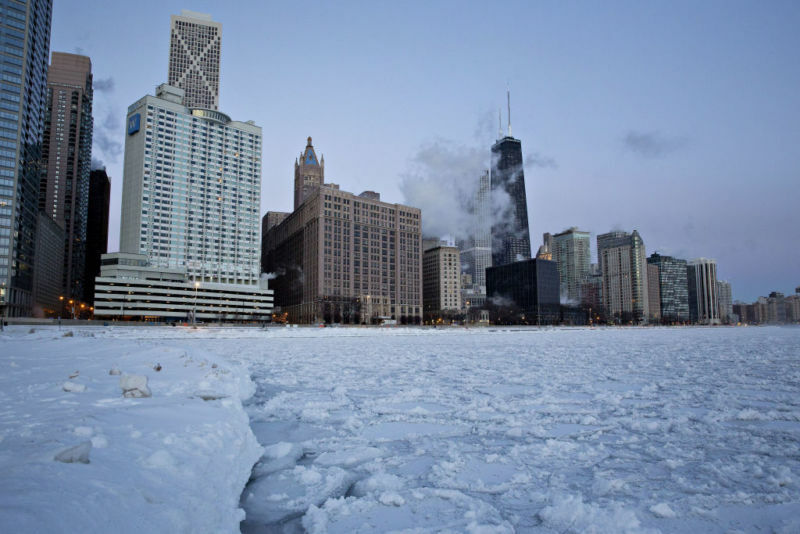 The city of Chicago faces its 2nd coldest day in 150 years, with reports from National Weather Service saying that northern states are gripped by a deadly Polar Vortex. People of Michigan are battling the -26C temperature...but many in Chicago says it feels more like -45C -- given the win chills that comes with. It has come to a point that Chicago has to set its train tracks on fire in order to get trains moving... like seriously, it's the only time you won't get arrested for setting the city's property aflame. As cool as this may sound, no pun intended, people of Chicago are advised to not breathe deeply as the freezing weather condition has deadly effects -- with a count of 12 people found dead, including 18-year-old college student of the University of Iowa, Gerald Belz...who was found in the freezing cold. ...and even with such a blasted phenomenon killing people, we get some of these "brave" fools sacrificing for the 'Gram (Instagram). Check out this reporter, whose pants froze LIVE on camera!